There's a BIG move for some VERY popular business magazines to tout the significance of a few high-profile leaders who have "unplugged." One guy reportedly stayed off line for almost a month! If you had someone thinking for you... what would you have them think about? Some time ago over lunch, my friend and mentor - Marshall Goldsmith - reminded me, What Got You Here, Might Not Get You There. This IS a book I've read more than once. Just today, I had a wild experience. This month I am riding my bicycle about 1,100 miles (first with Ride the Rockies, next with the Bicycle Tour of Colorado). I spent an hour with Bruce Springsteen, and here's what I learned. 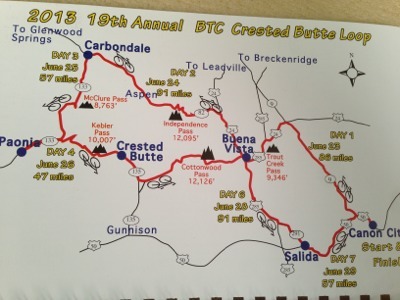 Along with a thousand other people on the Bicycle Tour of Colorado, I rode my bike 86 miles from Cañon City, Colorado to Buena Vista, Colorado. For an hour or so I listened to Bruce Springsteen and put a new "two and two" together. Want to know what I learned? Quick... visit the blog. Less than 168 hours after finishing the Ride the Rockies bike tour (544-miles of up and down through the state! ), I'm back on my bike to do it again. Here's my first post of this tour...where I bring Kenny Rogers in to the conversation. Read along with me; and, do leave a comment at the end. I can't wait to read what you have to say. Are you willing to let yourself think that Making More has very little to do with how much cash you have in the bank? That is what this dad thinks. After you read the post, share your comment...what does "Making More" mean to YOU? If it were easier, would you make it better? Hello there from Canon City, Colorado. 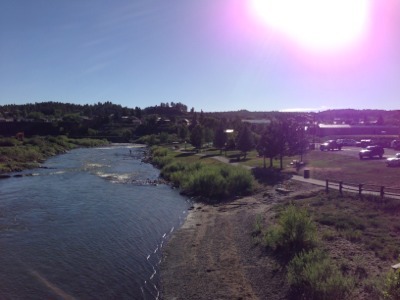 It is officially the 7th Day of the Ride the Rockies bicycle tour. 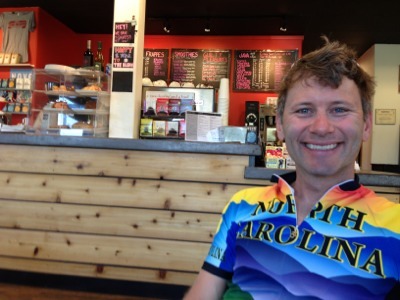 After posting this entry for you to read, I'm riding to Colorado Springs. Here is what I experienced yesterday as I stopped at an aid station to have some equipment replaced. Today's challenge, after you click that link and read the post, ask yourself, "Where can I make things easier?" Someone asked me why I don't "tent camp" on the Ride the Rockies and Bicycle Tour of Colorado week-long events. I answer that question here. Stop wasting time looking for the right gear! Riding almost 100 miles in a day requires I have, use, and LIKE the gear I have. Oh, so does you having a productive day at work. Here's what I learned riding over Wolf Creek Pass in Colorado yesterday. And, as I get started on today's nearly 90-mile ride, I'm taking a second look at my gear! 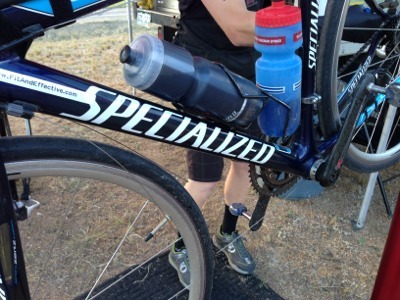 I wrote about the importance of "Gear" over here... oh, and it's Day 5 of Ride the Rockies here in Colorado. I wrote up a couple of observations about the day...you can read about them here (as well as my focus on today's ride).